SKU: CS. Category: Soaps & Cleaners. 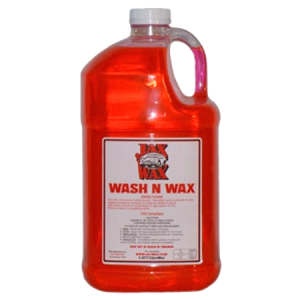 Jax Wax Carpet Spotter is fast acting enhanced with surfactants and wetting agents that immediately removes most spots including Dirt, Coffee, Oil, Grease, Ink, Pet Stains, Cola, Wine, Shoe Polish, Lipstick, Urine and Many Others! 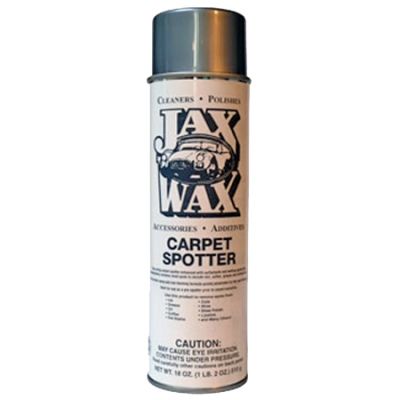 Jax Wax Carpet Spotter is ideal for use as a pre-spotter prior to carpet extraction. It is also excellent for removing difficult stains and spots from household carpet. Jax Wax Carpet Spotter is unequaled because of it’s effectiveness on both OIL and WATER BASED stains, and is specifically formulated for use on carpet. Other cleaning products may contain agents which can react to “set” a stain. 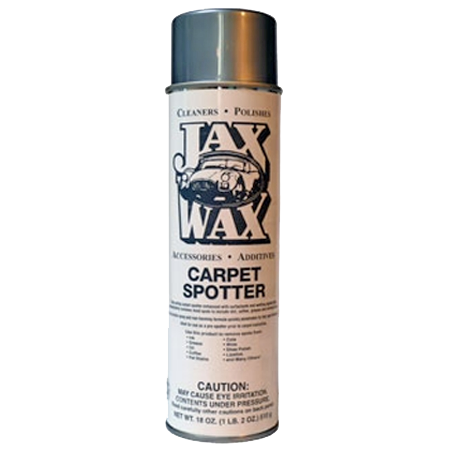 By using this Jax Wax Carpet Spotter first, you assure yourself of full stain removal. We cannot guarantee it’s effectiveness on stains which have been previously treated with another chemical agent. 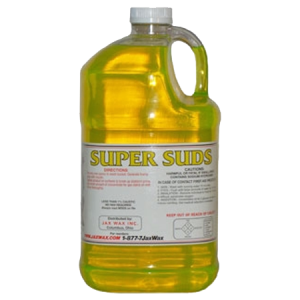 Stains created by acids or dyes or similar agents are generally permanent and may not be effected by this product. 4. After stain has been removed, sponge the area with cool water. 6. Allow treated area to dry completely. 2. Blot the stain firmly with clean absorbent material. Repeat steps until the stain is gone. 3. After stain has been removed, swab area with water using a clean wet cloth and allow to dry. Some stains may require the use of a soft bristle brush, used in a gentle circular motion, to release the stain from the carpet fiber. Care should be taken to avoid contact with wood or painted surfaces. All carpets, especially wool, should always be tested for color fastness. To test for color fastness: Spray for 3 seconds on a hidden or obscure area of carpet. Allow area to dry completely (at least 12 hours). Do not dry in direct sunlight. Look for color change. If color is effected, do not use. Be the first to review “Jax Wax Carpet Spot Remover” Click here to cancel reply.